iOS 7.1 was finally released this week and it brought along a lot of new stuff. It is widely recognized as a much needed alternative to iOS 7 which was a bust for many of the older iPhones. 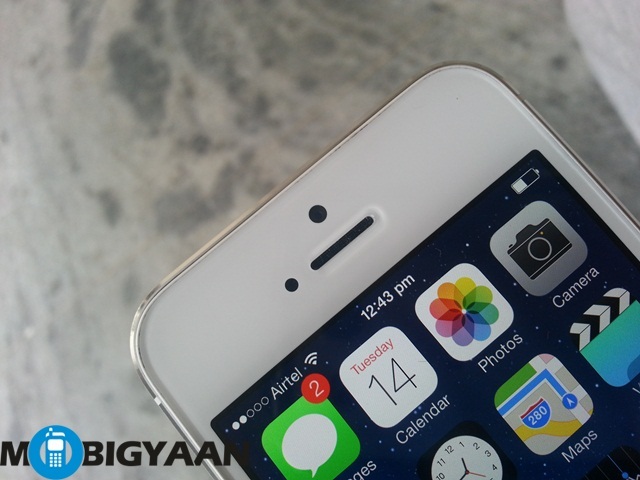 iOS 7.1 brings along bug fixes, minor improvements and some interesting new features. Some things like iOS CarPlay support just stand out with this update. In case, you have been facing issues with iOS 7, we would totally advise you to go for this update. This is definitely the biggest feature in iOS 7.1 is iOS CarPlay integration. You can actually use this feature to use your iPhone on your car display. It makes it safer to drive, since everything you need is right on the dashboard and you needn’t refer to your phone while driving, even if you get a call for example. In addition to that, you can now easily listen music from your iPhone, send messages and use your phone’s GPS right from your car’s dashboard. 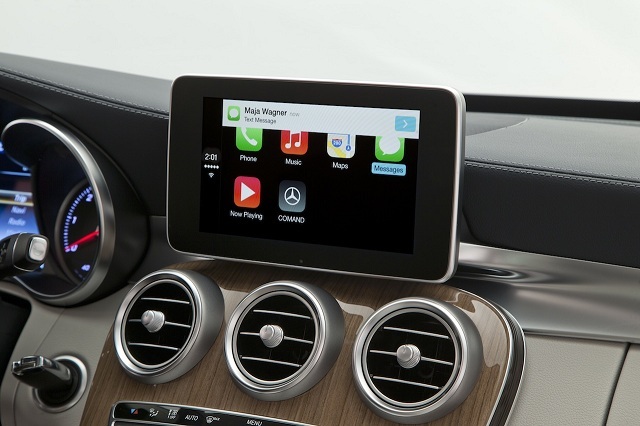 You can also use third-party apps such as Spotify and Beats Music to stream music to your car. Currently only high-end car makers such as Ferrari and Mercedes are introducing this feature in their new models, but car systems manufacturers like Pioneer are working to bring it to all cars. 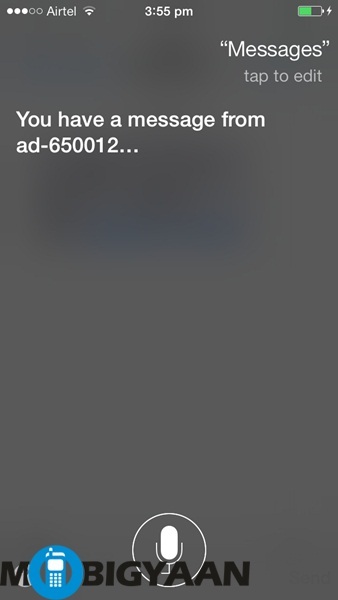 Siri has become a little better with iOS 7.1. It now has a better sounding voice and will let you manually control to what it listens. You can now just hold down the home button and release it when you are finished talking instead of Siri determining when you are finished talking. If you pause while you think what to tell Siri, this feature will be quite helpful. The UI is something that is expected to get better with every OS update and iOS 7.1 doesn’t disappoint in this regard. 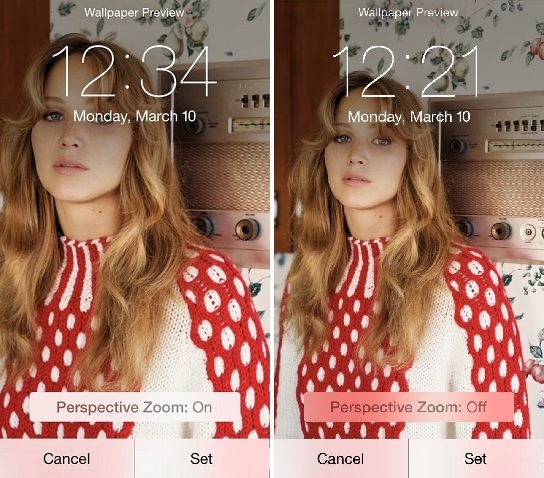 The UI now has resolved the wallpaper zooming issues – you can now use a perspective zoom option to zoom in on your wallpaper. 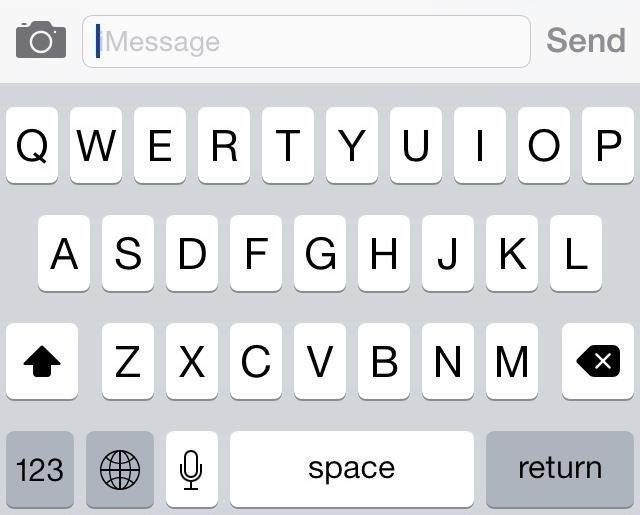 The keyboard now has redesigned shift and delete keys. Both are now black with white backgrounds. 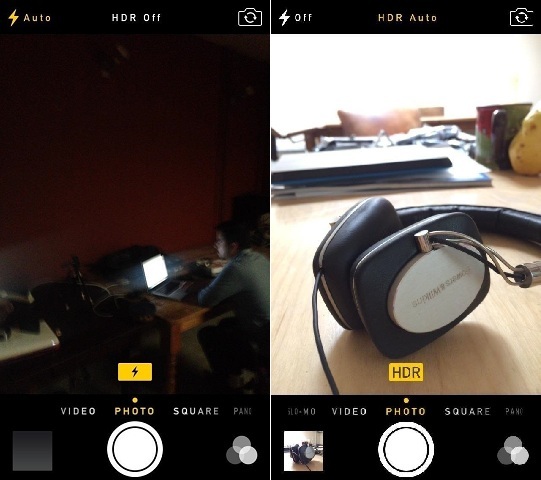 The camera app will now show you right on the screen whether the flash or HD mode is on. Along with that, there is an option which determines button shapes for apps such as the calendar and calculator. 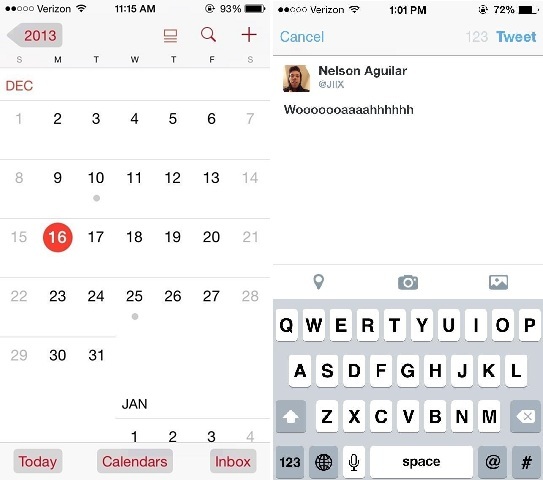 The Calendar app lets you toggle easily and also see holidays specific to your country. Along with that, there is a new accessibility feature, which will let you remove backgrounds from the weather app. You can also change the message font. To enable this feature, you can go to Settings -> General-> Accessibility. iTunes Radio now has a brand new UI. It now includes Featured stations, which will let you create a selection of your own favorite artists and songs. You can also purchase songs or whole albums right from the Now Playing screen. Apple has added a new iCloud keychain in iOS 7.1 with extended global support. In addition to bringing out new features, Apple has also fixed some persistent issues with iOS 7. It has fixed a homescreen crash bug and also fixed an issue with numbers higher than 10000 in the badge app icon for Mail. Fingerprint recognition has been improved so that your fingerprint can be captured from all angles. Our final thoughts on iOS 7.1 is that it actually makes iOS tolerable after how iOS 7 fared. For big improvements, we will have to wait for iOS 8, expected this fall.